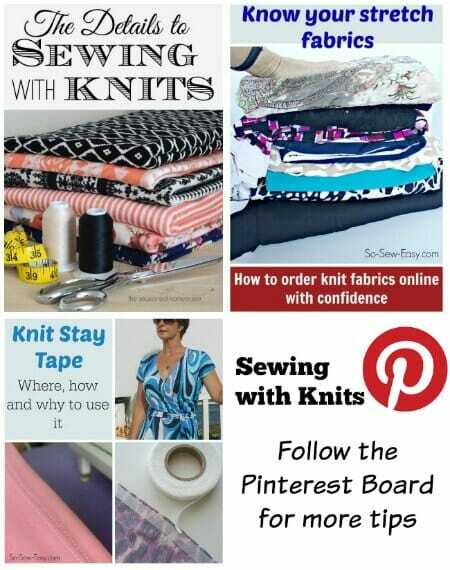 If you aren't yet a follower on the So Sew Easy Pinterest boards do come and join us. It's not just me, I have a whole team of the best sewing bloggers helping to find great content and keep those boards up to date with all the latest free sewing patterns and best sewing tutorials. Here are some of my favorite pins on the Working with Knits board. Take note of the number and the links are all listed underneath. Give them some repins if you want to save them to your own boards, or follow along with this one. Check out all the other pins on the board here. 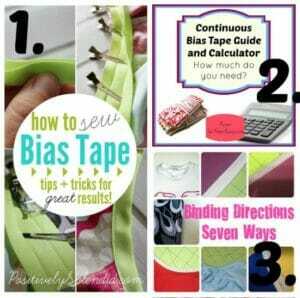 Follow Deby at So Sew Easy's board Working with knits – tips and tricks on Pinterest. Deby, for a new sewer I am amazed at how quickly you have learned to do so much. You have certainly found at least one of your gifts! As I saw the headline to this section of your blog, I initially jumped over it and went on to the next section because I have not yet learned how to access material from Pintrest I have an account and have been out there 3-4 times and made a concerted effort to learn to use it, but I’m missing something. Granted I’m 61 and didn’t grow up with this to be able to learn it organically. However, I’m really pretty good on the computer and can usually help others because of my skill. This time I need the help. Would you do a blog on how to use Pintrest? I go out there and click on a photo, expecting to be taken to the origin or that post with the accompanying explanation. Sometimes nothing happens at all, and other times I’m just taken to a larger photo of the same small photo. Is that all it is? Is it just a bulletin board of photos? If so, what’s the fuss? I have to be missing somethings crucial. Please help.